It’s Thanksgiving Day my dear friends and we are here to wish you a very happy one. It’s our hope that you are doing something enjoyable today and have a place to go and good people to be with. 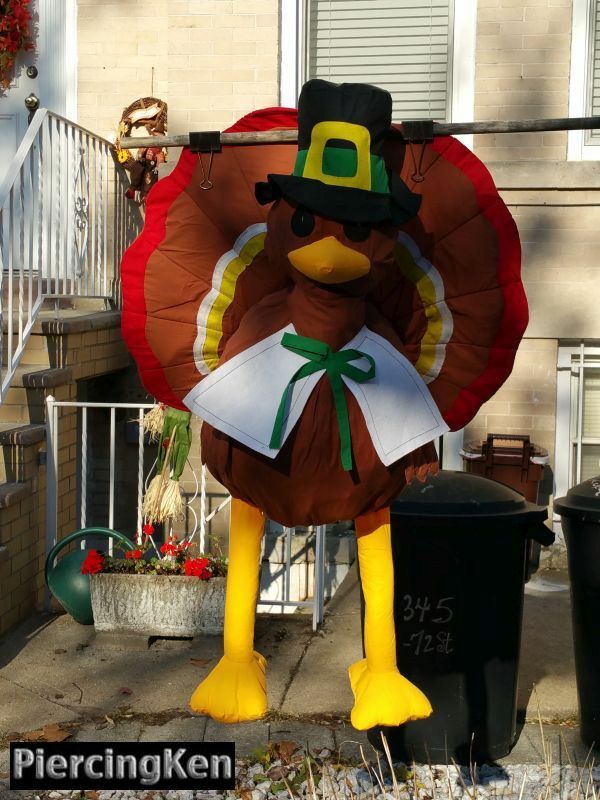 I’m heading over to some family today myself but wanted to share a seasonal image with you and since this turkey was sitting proud over the streets at Macy’s I couldn’t resist. Though her Indian Princess headgear is a little too big to sit on her comfortably, Spooke is ready to celebrate Thanksgiving in the most feline way possible. I’m fortunate that she is so patient with this sort of silliness. That’s all I’ve got for now as its soon going to be time for me to head over to family for some quality time and the eats. Stay thankful for all of the good in your world my friends, I personally feel very fortunate for good family, some good friends and good times. Let those who count in your personal world know that’s the case. Until next time and as usual I will def post some of the fooding from later on once I am back home at the Creative Command HQ. Have a Happy Thanksgiving once again. Hey there my readers, I just wanted to take a few minutes of your time to wish you all a very Happy Thanksgiving if you are in a part of the world that celebrates this today. It’s a good day to reflect upon the things that make you feel thankful and I’d like to say that I am very thankful for the supportive parents that I have and my sweet feline girl Spooke. They make my personal world a whole lot better when it comes down to it. 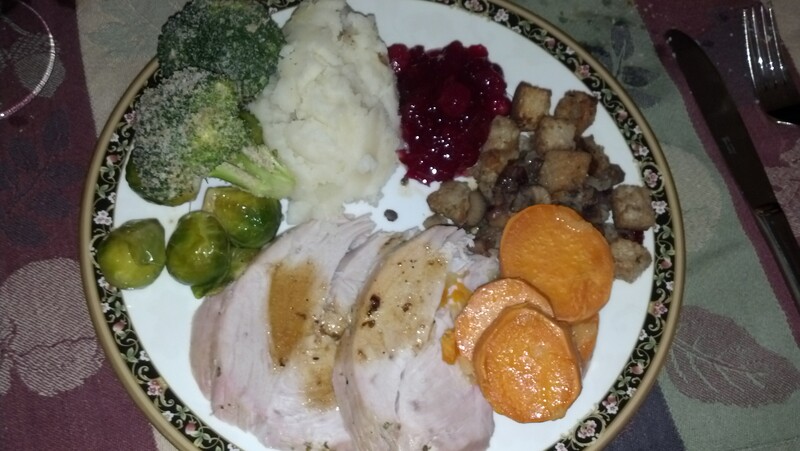 I’m thankful for my health and the friends in my immediate circle both real life and cyberspace wise. I’m thankful for a very interesting pursuit/passion that lets me celebrate the things I enjoy on a daily basis. I am also very thankful that you readers choose to come visit me here every now and again. It’s a pleasure to offer up some entertainment to distract from the occasional pitfalls of the day. Here’s a couple of things that you can do today to show some thanks and appreciation. – If your parents are still with you and you’re not seeing them make a phone call. Not an email or text. No one is too busy for that. – Spoil your pet if you have one. Extra treats, move away from the space that they want on the couch and added love to let them realize the special that they bring to your day. – Text people you don’t see all that often and wish you did. Not a group message mind you but a quick thought from the heart. I feel that this goes a long way. I know I love those when I see them but definitely not the group message stuff since no one likes those anymore. – Use your social networks in a positive fashion. No arguing politics or state of the world affairs. That stuff can wait for a day IMHO but chiming in with good words on other friends posts, that is best done a lot today. That’s all I have to say but as usual with a post like this, I might add a photo of some of the food that was enjoyed today when that time comes. It’s not bragging, I just like taking photos of food 🙂 Enjoy your day. I’m hoping that this note finds everyone who comes to this little site of mine in good form and that you have someplace to be today and friends/family/colleagues to be thankful with together. Recent news only firms up the need for our sticking together as much as and whenever possible to do so. Hopefully your planning on settling into a big meal today and please remember that there is NO Facebook at the table or even Instagram for that matter (unless of course you are like bombing any of my posts on our social networking pages hint hint, nudge nudge). You can save that for the coffee time without losing your mind I am sure. Try to check in with people who you might not have heard from recently or touched base with as often as you might have liked to for one reason or another. It only takes a second with a mobile device and please do not do a massive group texting wish because those are just so impersonal these days and start endless reply streams of “who is this, why are you texting me”……trust me I’ve been there. No bueno. Speaking personally I am very thankful for all of the wonderful people who have touched my life along with the extra special thanks to my parents and my sweet cat Spooke. I’m sad that we don’t have Shadow here with us anymore but wow was I thankful to have as many years as we did together before she left. Be extra appreciative of your fur babies today as well with added treats, leaving them be on the couch even if they are not supposed to be there and more playtime. Oh and did I mention less Facebook already? I hope so. I’d like to think that everyone seeing this has something if not several things to be thankful for even if its not always clear as a bell. Do a little extra today as appreciation of that and see if you can keep that mindset going well into 2016. That’s all I got, have a Happy Thanksgiving my Friends. Hey my friends, just a quick note to say “Happy Thanksgiving” to you & your families. On behalf of what I do here with PiercingKen I can say that I am truly thankful for every single one of you and the attention, positivity and good vibe energies that you bring me. Live life good my friends, I look forward to seeing you on more of the whatever I decide to adventure upon and share with you on this site soon. My hope is that your plate in life is as bountiful as the one you see pictured. If it’s overflowing, be sure to share some of the good. You won’t regret it. Ciao.